Palm Sunday signals the start of Holy Week in the Christian religion and commemorates Jesus' entry into Jerusalem. 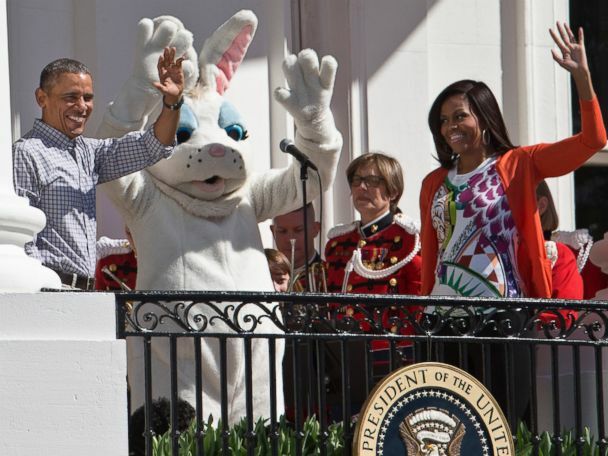 Festivals around the world celebrate the resurrection of Jesus Christ from the dead. Men throw water on women as part of traditional Easter celebrations in Mezokovesd, Hungary, April 1, 2018. Palm Sunday signals the start of Holy Week in the Christian religion and commemorates Jesus' entry into Jerusalem. 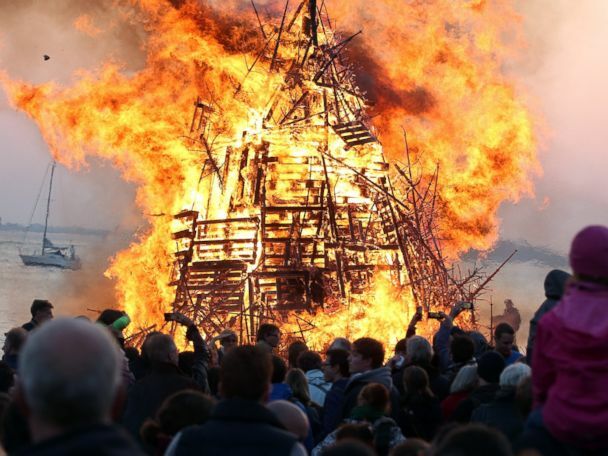 Festivals around the world celebrate the resurrection of Jesus Christ from the dead. </br></br> Men throw water on women as part of traditional Easter celebrations in Mezokovesd, Hungary, April 1, 2018. Orthodox believers celebrate Palm Sunday in the Church of Peter and Paul in Simferopol, April 1, 2018. A Catholic priest conducts a service on the eve of Easter Sunday in the village of Zhykhi, Belarus, March 31, 2018. Worshippers take part in the procession of the Madonna della Vergine Desolata during the Holy Week in Canosa di Puglia, Italy, March 31, 2018. Pope Francis lies on the ground to pray during the Celebration of the Lord's Passion on Good Friday, at St Peter's basilica, on March 30, 2018 in the Vatican. Members of the Nazareno brotherhood participate in "Los Cristos" (The Christs) procession in Izalco, 60 km west of San Salvador, Mach 29, 2018. Vladimir Kuzman carries a wooden cross while leading the 23rd annual Way of the Cross over the Brooklyn Bridge to mark the Good Friday holiday in New York, March 30, 2018. Orthodox Jewish throw bread products into a fire at the old drive-in theater on route 59 in Spring Valley, N.Y. March 30, 2018 before the start of Passover, which begins at sundown. Pains fraternity penitents walk holding crosses during the Penitence procession held in Ferrol, Coruna, Spain, on Holy Wednesday March 28, 2018. Penitents take part in the procession of the "Exaltacion de La Santa Cruz" brotherhood, during Holy Week in Zaragoza, Spain, March 29, 2018. 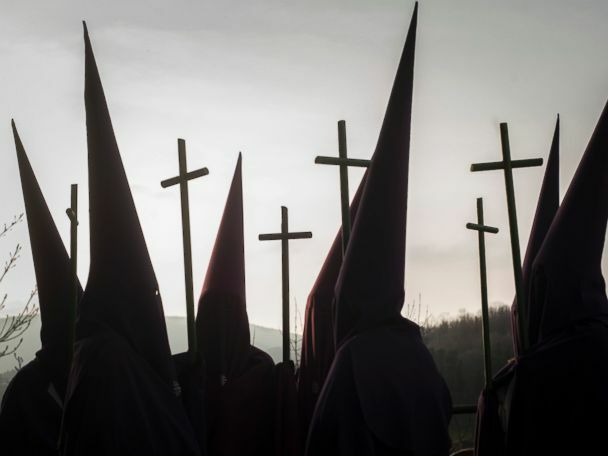 Hundreds of processions take place throughout Spain during the Easter Holy Week. Pope Francis leads the Palm Sunday mass at St. Peter's Square, March 25, 2018, at the Vatican. Palm Sunday is the final Sunday of Lent, the beginning of the Holy Week, and commemorates the triumphant arrival of Jesus Christ in Jerusalem, days before he was crucified. Priests walk with candles during the Procession of the Blessed Sacrament at the church of the Holy Sepulcher, March 29, 2018, in Jerusalem. Thousands of tourists and pilgrims have descended on the holy city of Jerusalem to attend activities to mark Christian Holy week from March 25 to April 2, 2018. Penitents from "La Merced" brotherhood walk to San Antonio de Padua Church to take part in a procession, March 26, 2018 in Cordoba, Spain. Spain celebrates the Holy Week before Easter with processions in most Spanish towns and villages. A Catholic boy takes part in the "Jesus of the Great Power" procession during Holy Week, at La Merced church in Granada, some 30 miles from Managua, March 27, 2018. Catholic faithfuls carry an image of Jesus during the Palm Sunday celebration in Cali, Valle del Cauca department, Colombia, March 25, 2018. Penitents take part in the procession of "El Cautivo" brotherhood during Holy Week in Malaga, Spain, March 26, 2018. Devotees carry a religious float with a statue of the Virgin Mary during the Jesus of Nazareth procession from La Merced church, in downtown Guatemala City, March 27, 2018. The procession is known as La Resena and is one of the country's earliest Catholic processions, the first recorded in 1721. A view of St. Peter's Square filled with the faithful as Pope Francis celebrates a Palm Sunday Mass, at the Vatican, March 25, 2018. Pope Francis urged young people not to be silent and let their voices be heard during Palm Sunday celebrations. Palm Sunday celebrations mark the beginning of the Holy Week, Braga, Portugal, March 25, 2018. Penitents called "Morions," wearing masks and colorful costumes, roam the streets during the start of Holy Week celebrations in Pola Oriental Mindoro, Philippines, March 26, 2018. A priest spreads incense around a figure of Jesus holding palms during Palm Sunday celebrations at a church in Comayagua, Honduras, March 25, 2018. For Christians, Palm Sunday marks Jesus Christ's entrance into Jerusalem when his followers laid palm branches in his path, prior to his crucifixion. A view of a boat with the image of Virgin Mary during a water Station of the Cross, as part of the Holy Week celebrations, Cocibolca Great Lake in the colonial city of Granada, Nicaragua, March 26, 2018. People participate in the traditional "deviled talciguines" festivity on the Holy Monday, as part of the Holy Week celebrations in Texistepeque, El Salvador, March 26, 2018. Members of the "Hermanos Mayores Honorarios" brotherhood of the Spanish paratroopers brigade BRIPAC carry a "Christ of the Blind Souls" (Cristo de Animas de Ciegos) statue on their shoulders as they take part in a procession in Malaga, Spain, March 28, 2018. This year, Spanish Catholic Holy Week runs from March 25 to April 1, 2018, to mark the Passion and Death of Jesus Christ.